How are all of you? Are you done with your Christmas shopping? Do you have anyone on your list that loves to bake? 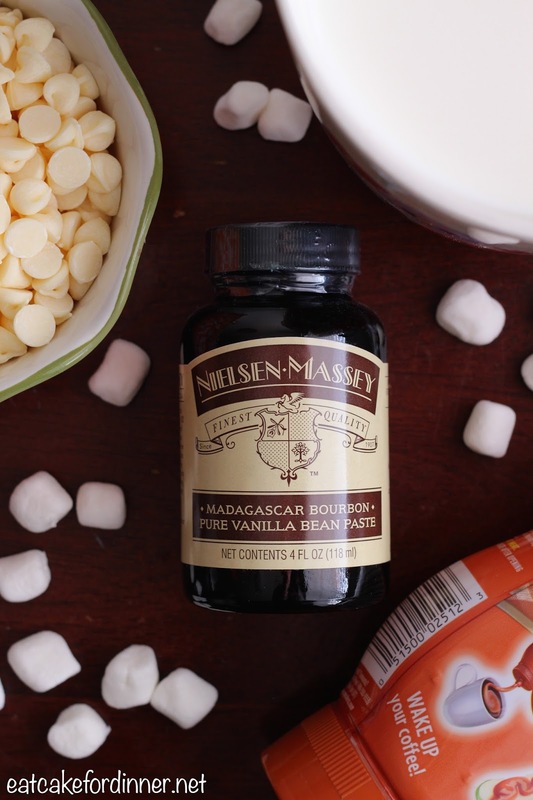 Nielsen-Massey Vanilla Bean Paste is such a great gift idea. This stuff is awesome and adds a lot of yummy vanilla flavor and beautiful vanilla bean specks to your sweets. One tablespoon of this thick paste is equivalent to one vanilla bean. I like to use it in frosting, whipped cream, vanilla hot chocolate, homemade ice cream, homemade pudding and lots of other yummy stuff. 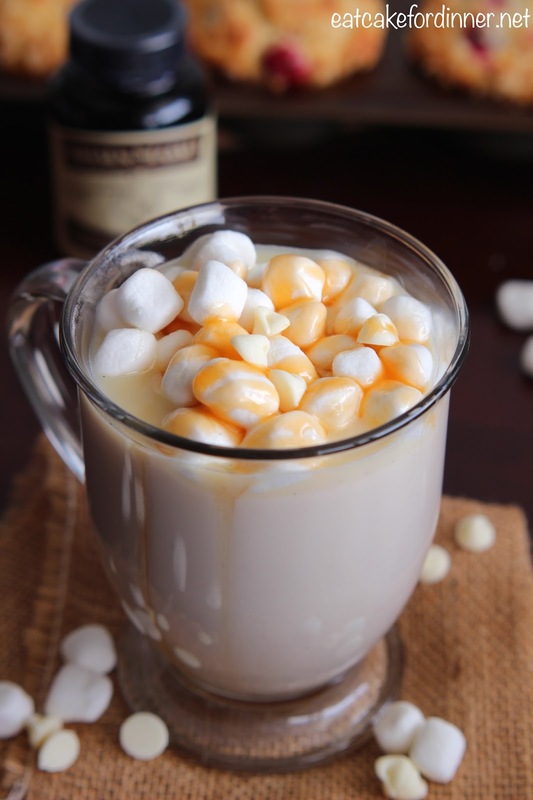 Vanilla Bean Paste takes this white hot chocolate to another level. It adds such a rich flavor and when paired with the white chocolate and caramel, it is really a comforting treat. A small glass is just right. I was provided a bottle of Vanilla Bean Paste from Wilks Communications for the purpose of this post, but all opinions expressed herein are my own. The giveaway bottle of Vanilla Bean Paste is provided by Wilks Communications and will be shipped by them as well. 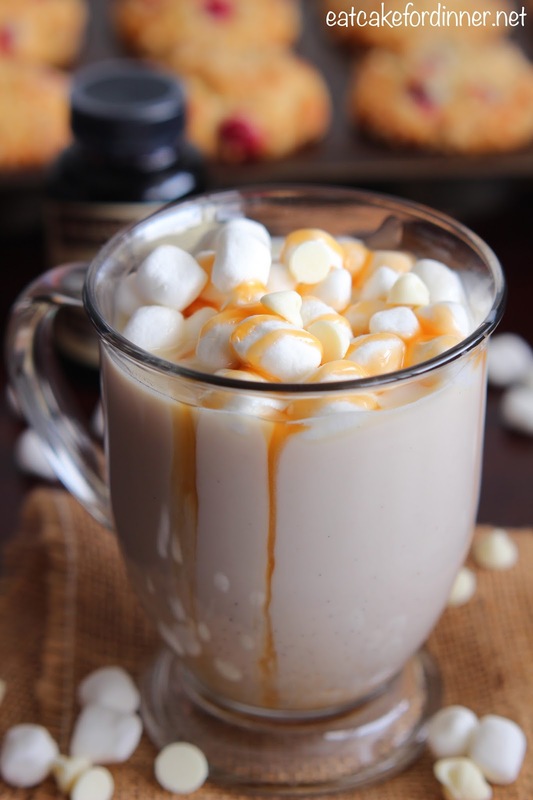 Combine milk, white chocolate chips, vanilla bean paste and caramel in a medium saucepan and heat over medium-low heat until white chocolate chips are melted and milk is warm, stirring frequently. Divide between four glasses and garnish with desired toppings. Serves 4. Jenn's Notes: If you don't want yours quite as sweet, reduce white chocolate chips to 2/3 cup.